One of the regulars of our group couldn’t make our holiday game last weekend, so we decided to play another game for the day. Recently, I’d been playing Shadowrun Returns on the recommendation of the other guys in the group, so I offered up running a quick Shadowrun game. All of them had just played / were playing SRR as well, so it was an enthusiastic yes! I opened up my old files, and realized, yup, it has been 10 years since I ran or played in a SR game; and more than 5 years since I’d even looked at the rules (2004 April and 2009 Feb in fact)! Nonetheless, I remembered the basics enough that I felt fine muddling through the mechanics portion of it. Plus, one of the guys ran two campaigns for us, and another was a player with me in those games. As I knew 3rd edition best, and haven’t even looked at 4th or 5th, I decided on that rule set. I had the BeCKs character creation files on hand, so they all quickly generated some characters (I wanted to keep it low level, so 225 Karma creation – that was something that always didn’t sit right with me about standard SR, PCs started pretty well off and experienced). I had an Excel sheet I made 10 years ago that randomly generated stats for low level characters and a old Word document with some Shadowrun adventures ideas that I used. We had a lot of fun, and may continue it as a side game for days when the whole group can’t get together. Hellboy/John – Troll melee: His parents worked in Redlands, and when they gave birth to Troll, they left that insular society rather than give him up. Moved to the Barrens where he grew up. His father was killed when young while looking for work, and mother descended into substance abuse. He is left alone by the gangs due to his size and takes occasional labor work. ?? – Dwarf shaman: He had a comfortable life working as a wage mage for Bourne Industries in the Barton area when he underwent goblinization later in life. One area of R&D for the company was the study of metahuman genetics, and his sudden change propelled him into being a very valuable resource for the company. Getting confirmation of his suspicions, he fled to the Barrens before he could be entered into the project. Gruumsh – Ork samurai: Redlands was a wonderful place to grow up as a popular gifted young boy that was destined to be an Allstar baseball/football/wrestler. Goblinizing at puberty, all those plans were dashed and his parents moved to save the family from embarassement. Through friends, they were able to get him into a vocational security training program for Ilumina, who trained the innately atheletic young man and fitted him with cyberware. Those plans for a comfortable corporate job were dashed when a meta go-gang led a raid into a warehouse he was tasked to guard. They made off with valuable equipment, and knowing that he would be held to blame, fled into the Barrens to track down the thieves. ?? – Elf conjuring samurai: Growing up in the Morongo tribe, he heard from the spirits that the elders were betraying the tribe. When looking into the accusations of the tribal casinos being sold to LA megacorps, he suddenly found that he was being regarded as a threat by the leadership. Fleeing west to the Barrens, he met up with his acquaintance. Hellboy welcomed the newcomers to the Barrens in exchange for some cred. In the first week, they found the body of a salariman who had succumbed to his addictions in the Barrens where he sought his next hit. They find an unsecured cred stick with 186 nuyen on his body, which they bury in the cemetery. Deciding to celebrate, they head to the nearby Stuffer Shack at Foothill and Baseline, but are attacked by some go-gangers who mistakenly saw them as easy targets. 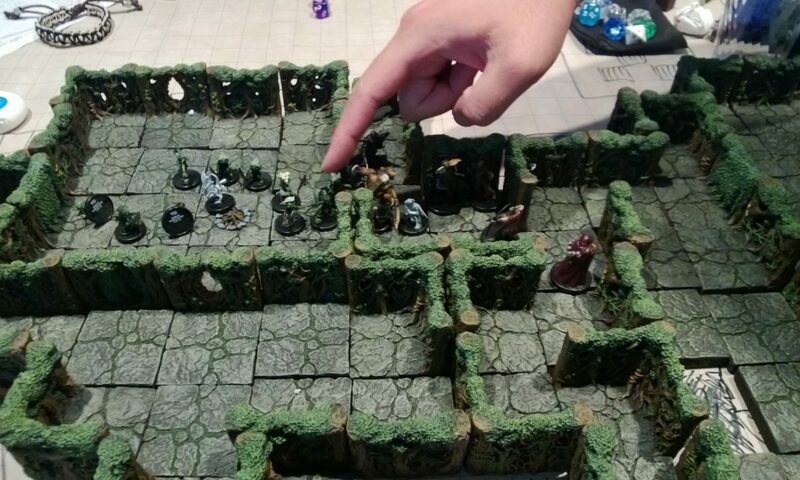 The group dispatch the gangers and return to the cemetery home to lick their wounds. Needing healing, Hellboy leads them to Father Oscar who asks for their help in return. An acolyte training under him, Paco, had recently showed that he possessed the gift of healing. The Falcons kidnapped him when he was visiting his mother in their territory as the Falcon’s new young leader Miguel sees him as the key to expanding their territory. Until now, Father Oscar was the only healer in the area, and his warehouse church was a neutral zone where the surrounding gangs – the Falcons to the northwest, the Metas to the east, and the Stripes to the south – put aside their differences to heal. Miguel was keeping Paco secured at the Falcon base of operations – a converted Walmart strip mall, and the implicit threat to his mother kept him there. The group decide to try getting the mother to safety first, and take their mopeds into Falcon territory. They are stopped by some Falcon go-gangers, and tell them that they are trying to join the gang; they are told that they need to collect sufficient "taxes" to buy their way to see Miguel – 2,000 for them, and 5,000 for Miguel. Hiding their bikes, they make their way on foot stealthily to her domicile and convince her to go with them to Father Oscar’s house, for the safety of her son. They sneak back in, and reach the Walmart, where several dozen of the gang are milling about or resting in the strip mall. Peeking into the Astral, the dwarf glimpses another in the front of the store who likewise is watching the Astral. Rather than attempt the sneak through the well-lit parking lot full of humans, they head around back where the dwarf calls an urban spirit to conceal all but the troll. They fail the bluff the 3 youngsters guarding the back door, and when the oldest goes in to ask Miguel for guidance, they pounce. The troll rushes in and turns off power at the fuse box, breaking the handle in the process, while Gruumsh and the dwarf incapacitates the other two guards in the back. In the confusion, the elf severely wounds the shaman with several well placed AK-97 rounds. As the gangers begin getting a light on the ork, the troll and elf rush in and carry off the confused Paco. The dwarf’s manabolts takes care of the remaining guards in the back and grabs their keys to the two scooters in back. The ork, desperate to finish off Miguel barely limped out of the back door, bleeding from a dozen wounds that would have fallen a man. As they zip off in the stolen bikes, the dwarf summons another urban spirit to grant him speed and concealment, appearing as a dog running alongside the bikes. Upon returning to Father Oscar’s, they hid in the back as they hear the Falcon’s bikes pulling up. Peeking through the holes in the wall, they see the Falcon’s bringing the wounded to Father Oscar – among them, a barely breathing Miguel. "My boy, my boy, what have you done?" the older man softly says to him, even as he moves amongst the others, soothing the wounds of some and closing the eyes of others. I finally got a chance to play around with the DF Caverns I received from the Kickstarter they did. They are gorgeous and so I threw together some set ups and snapped pics.